If you’ve tried to build your own PIC USB devices (perhaps following my earlier tutorial Building a PIC18F USB device) you will have noticed that the Windows host code (based on the Microchip USB stack examples) is far from clear on how to communicate with the device. To make matters easier for people who are not familiar with the intricacy of Windows programming and USB I’ve created a generic Visual C++ Class which handles all of the device communication issues including the plug and play aspects of device attachment and detachment detection. The generic class is suitable for all types of Generic HID USB devices (including devices using the generic HID protocol based on common microcontrollers supporting USB communication other than the PIC18F). In this article I will cover how to use this class, how the class functions and also give some practical examples of how it can be used to make your own Windows software. Please note: This article and associated software is no longer maintained. It is superseded by my C# library which you can read about by following this link: Open Source Framework for USB Generic HID devices based on the PIC18F and Windows. This action makes the class ready to use (it instantiates an object from the class). // This call back function receives the Windows messages coming into the form. You have to pass this method the VID and PID of your device which can be done either directly (by simply specifying the numbers such as 0x1234, 0x4321) or (as in the example above) from two #define commands at the top of your form’s .h file. This method returns ‘true’ if the device is currently attached and ‘false’ if it isn’t and can be used to see if the USB device is available for communication. This method returns ‘true’ if a device is attached but, for some reason, is considered ‘broken’ (i.e. communication problems, etc.). Note that if this flag is ‘true’ the isDeviceAttached method will return ‘false’. This allows you to add in some extra warning information if anything unexpected happens to the device. This method sends a command (and possibly some data) to the USB device, but does not expect the USB device to send anything back in response. To use this you simply set the usbCommandId to the value you wish to send and call the method. The commandId is in fact the 1st byte of the 64-byte packet that generic HID uses to communicate. The other 63 bytes are available for data and can be set by using the writeToTheOutputBuffer() method detailed below. This method returns ‘true’ if the write was successful and ‘false’ if it fails. This method is similar to the sendUsbCommandWriteOnly() method, however it expects the USB device to reply to the command. The response from the USB device is accessed using the readFromTheInputBuffer() command detailed below. This method allows you to write bytes to the output buffer to be sent when the next send command method is called. You simply supply the byte number (2-64) of the byte you want to set (bytes 0 and 1 are reserved for communication) and the value of the byte. The method returns ‘true’ if successful and ‘false’ if unsuccessful. This method allows you to read bytes from the input buffer (data which is returned after a sendUsbCommandWriteRead() method is called). Simply specify the byte number you are interested in (2-64) and the method returns the value. 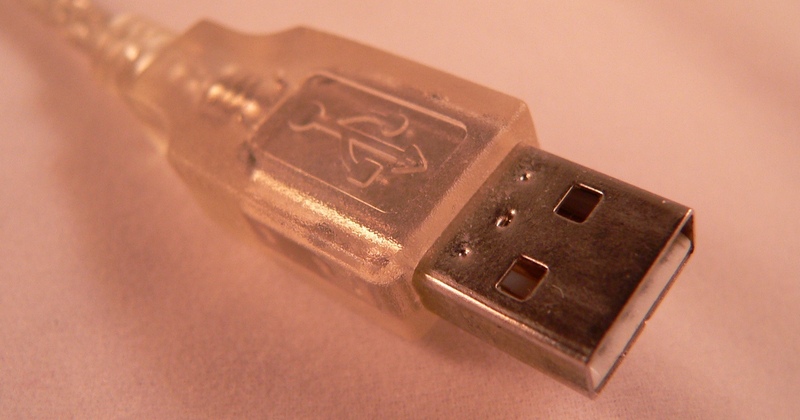 This method removes the USB device from your code and cleans up any file handles, threads, etc. leaving the class in the state when it was constructed. This is useful if you wish to detach the device for any reason. Note: Since this class is in ‘user-space’ this doesn’t detach the device from the host, only from your application. This class is relatively new and untested. If you use it and find anything that is incorrect or could be done better please let me know, I’d love to hear from you. The main limitation of this class is that it can only handle one device at a time, i.e. if you have 2 or more devices with the same VID and PID it will simply pick the first one it finds. I hope to remove this limitation in the near future. If you would like to know more about how this class works please go ahead and look directly in the source code. I spent a lot of time making the code as clear as possible as well as including lots of commentary about how it works and what’s going on. Below you will find an example windows application with the class code included. This code is designed to work with my simple PIC18F generic HID device which you can find on Building a PIC18F USB device. It is designed to use the same PIC firmware as the original project. Obviously this is a very simple device, however the class should allow you to build far more complex devices without having to worry about the low-level details of USB HID programming on Windows. This code will compile in Visual C++ 2008 for both (the free) Visual Studio 2008 express and the professional version. To compile load the project file and select compile from within Visual Studio. To use the class in your own code simply make your own project and copy over the usbHidCommunication.h file into your project directory. 2010-03-31 – Project updated, removed some minor bugs: See the revision notes in the source code for details.